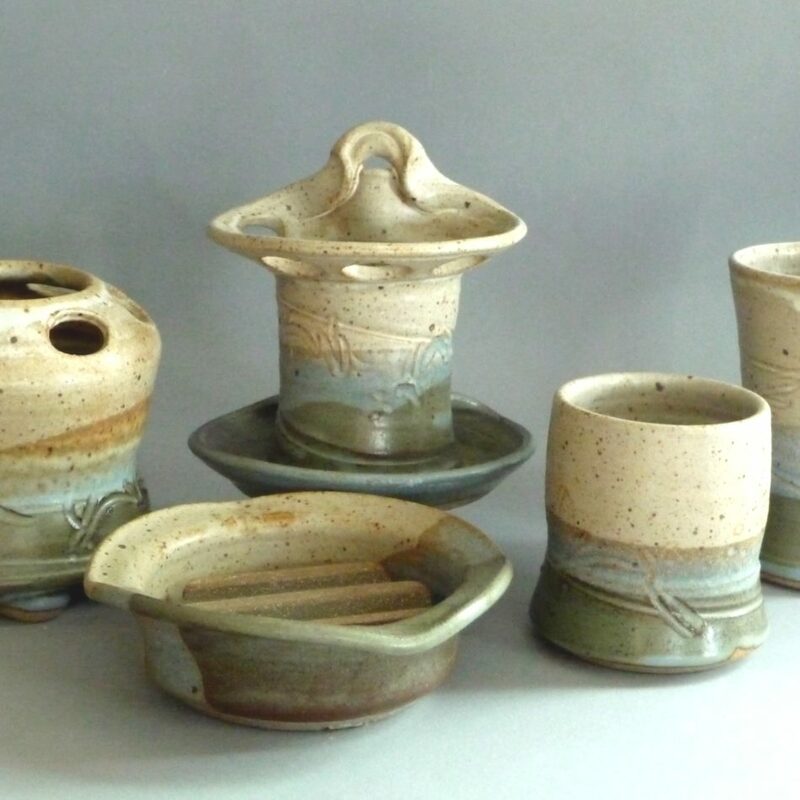 Susan Horowitz is a maker of wheel-thrown stoneware pottery. 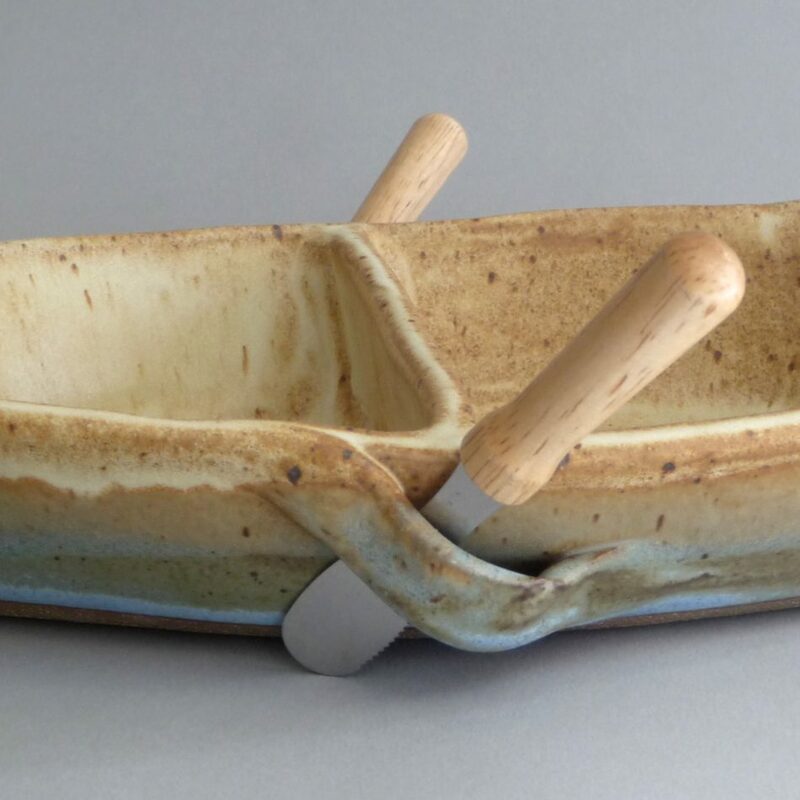 She designs functional pottery to be used in daily life–a common reaction to her work is “what a good idea.” She strives to make handles that fit the hand, pots that drain and “fight the yuk factor,” pots that work well and will bring joy to those who use them. 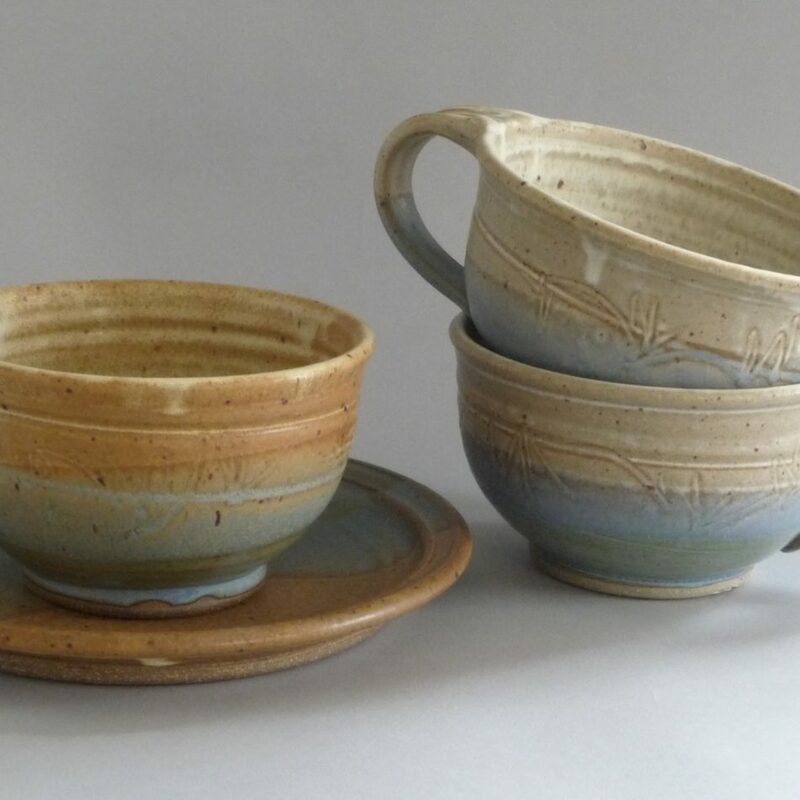 She makes dinnerware, pots for the bathroom, decorative pieces and Jewish ritual pottery. 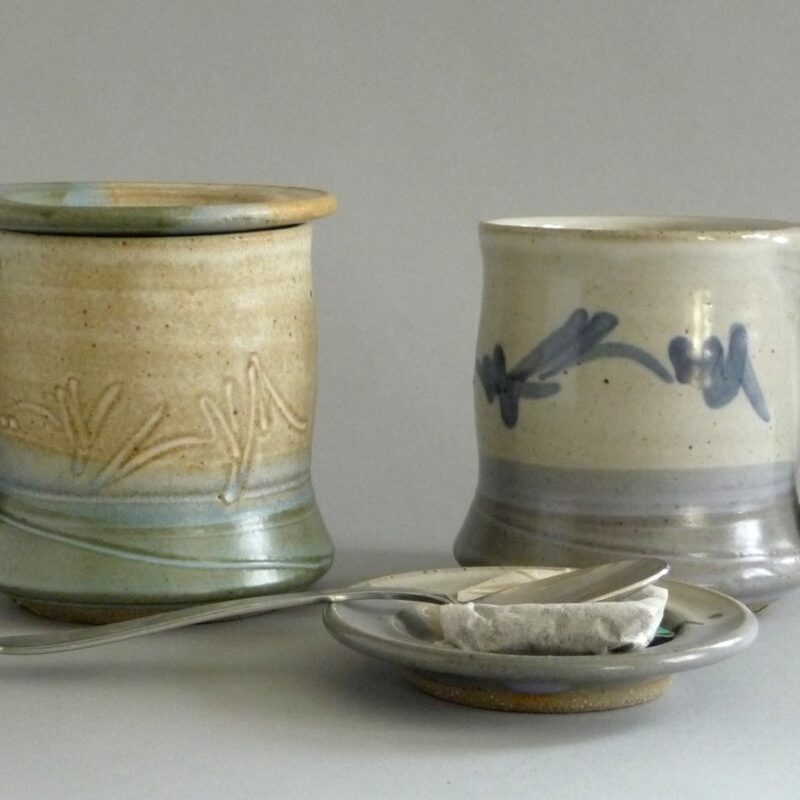 Her pots are glazed in the colors of the sea and sand, and the brushwork and sgraffito decorations are based on the patterns left in the sand by the receding tides. DownEast magazine named Susan’s mug the “Best Handcrafted Mug” in Maine in 2010, and the Double Dip Dinghy was featured in Coastal Living magazine July-August 2017.